I talked previously about the idea of Points of Play a little (), discussing the points at which a player can mechanically affect the outcome of a game in more than a superficial (salt-and-pepper) fashion. Here is the breakdown of the four types of points I’ve been able to identify (CSIA) and some thoughts on games that utilize them. Before I begin I want to stress that most games have multiple ‘types’ within their rule-sets and play procedures (for example I prefer S+I games personally) and there isn’t anything ‘wrong’ inherently within any of these types. The Point of Play is actually in the Creation or Prep portion of the game. When you’re in town gearing up or enchanting your gear, getting cyberware implanted, preparing spell loadouts to bring into the adventure. By the time the fight starts, you mostly just roll and get to describe how you look cool executing abilities and gear that have already been allocated. I mentioned earlier that I thought D&D 3.5 and Shadowrun had already decided the encounter’s outcome long before the moment of engagement. This is not too dissimilar to tactical video games (ex: Final Fantasy Tactics), where your gear and party selection are possibly more important than the actual execution of moves. When a party is dungeon-crawling (or Arcology/Corp building crawling) there are behaviors that people learn that are reinforced over time (heavy ac/hp tank on the big monster, casters in the back, avoid OAs etc. In Shadowrun: Geek the Mage, Geek the Troll). When a game first starts the party has to learn how to use their abilities in tandem, but once they do, they learn that folks know what’s expected, and they even have a term SOP (standard operating procedure). Combat here is rote. You know how to gauge lines of attack, how to place yourself to avoid flanking, how to support your friends and lay down cover fire. All that’s left is to roll the dice and apply your build/gear filtered through probability. By the time initiative is rolled, most of the actual execution can be assumed. These games have a mini-game in character-building and gear-purchasing. A lot of them can be identified by extensive shopping and gear lists that encourage optimization, and many abilities that allow you to have a high degree of customization in your character. Many of these elements also allow people to engage during ‘downtime’. You can do research on your character, talk to people about options, run simulations and keep engaged with the campaign outside of game time. This wide array of options and customizations also ‘keeps things fresh’ and can make the start of campaign infused with energy as folks are ‘trying fun new things out’. There is some overhead. Many people are busy and may not have the time to engage between sessions. You have to actually read/parse all of the lists (frequently with volumes of splatbooks to go with). Often there is a fair amount of ‘downtime’ when folks are ‘in town’ and preparing for adventure. The GM has no compunction to ratify player choices often resulting in wasted time in acquiring things that have no bearing on the adventure portion. Frequently the initial rush of ‘hey new game with never before seen characters!’ wears off and the game starts guttering around level 6-12. Many folks like the creation mini-game but get bored during actual play. Clever interaction between elements (gear and character power choices). Managing to put together ludicrous combos within the rules. Finding new effective combos that haven’t been explored. Preparing the perfect spell. Buying the exact right item to solve a problem. Puzzling out future badness, and being on top of it before it even occurs. A good example of this type of game might be _Misspent Youth_. In this game the Youthful Offenders get into trouble and fight ‘the Authority’ (the iron-fisted 1984 style Big Brother of various flavors). The ‘cool plays’ come from framing conflicts, and setting stakes for the conflict – the actual resolution mechanic is divorced from the actions of the players. The rolls are not influenced by action or based on the fiction. 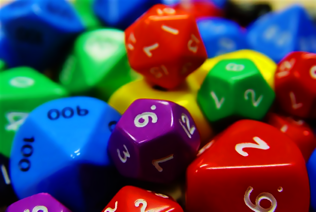 You can roll and state what you are doing, but this is not a point of play since it actually doesn’t influence the outcome or the state the game is – that is arbitrarily determined by a set of rolls. This goes back to the original example: you’re simply laying narrative or script on top of automation, the final outcome (stakes) is not actually changed by anything you do during the conflict rolls. Point of Play in scene creation games usually have both player input mechanics, and non-build driven combat resolution. They differentiate strongly from Creation or Immediate type games insofar as that once a scene is framed a specific outcome is either arbitrary or inevitable. It’s interesting to note that the role of the GM in many games is an S-type mechanic. While the players will often focus on pre-game prep or build, the GM is responsible for creating conflict often on the fly as the players examine different areas. Many of these style games are GMless and require little to no prep. When your point of action is at beginning or early of the scene there isn’t a lot of overhead to bring with you (creation) or work to be done between games. Frequently these games will generate a better flow and pacing of story (since once the stakes are set, everyone is simply trying to make a cogent scene untill the outcome is resolved). There is often a disconnection between player action and flow of game. Although you can keep interest and attention — the scene has to flow right? — player investment can be an issue. A lot of times you’re just biding time untill it’s ‘your turn’. An example of this is ‘spotlight’ scenes that don’t involve you in any way (something we see frequently in games like Shock: Social Science fiction). Being able to frame a scene in a way that makes everyone gasp or laugh, causing tension by framing a scene right, immediatelly bringing something painful and important to the forefront. Being able to find exactly the right scene to answer a specific question or address a specific theme/problem in the story. Knowing how to set stakes that make people wince. Old school games actually stressed the Immediacy of play. Immediate points of play provide an interface for action and reaction within the moment. When you can read a situation, and see that clever move – this characterizes I style play. One of the ways to gauge this is also with mechanics that provide for and react to in-the-moment strategies. An example of this might be something like Dungeon World – where you can zoom in tight, and do swing by swing action when fights are at the critical point. Or Warhammer 3rd which provides black (bad) and white (good) dice for everything you can do to stack the odds in your favor and consequently the odds that are against you within each action. Did you manage to cut down the chandelier unexpectedly? Add a white die. When every action and every strategy the player brings to the table affects the scene and the outcome of the action greatly, this is immediate play. This isn’t chaining combos that have been built with xp over the weeks, it’s recognizing that the table in front of you can be kicked over for cover. This is one of the surefire ways to create engagement. When the stakes are high and everything you can use to your advantage is important, you’re playing ‘in the moment’; brain working on overdrive, inner eye panning across the scene looking for anything that can be turned to your advantage. Balancing the rules for this can be difficult. Keeping things moving while you micromanage little details can add up, and this can stretch out the action, or provide high overhead that while intended to provide realistic bonuses, often just creates large quantities of charts and rules consultations. Being creative, and sharp. Seeing the awesome play and pulling it off. Risk management. This is an odd category. There are a few games out there that actually do outcome decisions before the scene happens, but the actual skill in play occurs after the rules have been applied. This is difficult to categorize because there aren’t many examples. The difference between C games and A games is often the point of prep. Often the ruling that generates the outcome before the skill in play appears is a system-generated and random thing. And the difference between S and A games is that the scene is usually framed, and the outcome known before the player can influence aspects of the game. I’ll try to provide examples. There is a play in Fiasco where the players at the table (acting as a form of GM) frame your scene, and you choose how it resolves (die pick, your choice). So all of you are interacting and are always driving at the outcome (good/bad) that’s already been pre-decided by the die that you’ve chosen. The good play here is weaving the combination of external scene framing, and the already known result into a coherent story via the actions and interactions of your character. Often these sorts of games are trying to motivate the generation of a specific kind of story or sets of interactions, and focus more on the shared experience than rule-manipulations of the world. Without the fear that you’ll fail someone, or spoil a scene by messing up much of the pressure is removed. Consequently these tend to be better games for non-gamers, or less antagonistic gamers. Additionally without the pressure, you can really dive deep into the characters driving them towards the already known fate, trying to wring whatever drama or laughs out of the scene. Since you already know the outcome, you’re frequently not as invested. Often the games here are about the ‘journey’ which many are, but these excise most of the other pieces of play via the rules and procedure. Nailing a Genre beat. Being able to roll with the outcome and shift the scene to accurately reflect a result. Cleverly interpreting the ‘yes and’ or ‘but’ into something that keeps the story and play moving forward. After writing this, and thinking about it I find that I really like I+S games. I’ve found friends that like specific games and not others, and often the common theme between the games they like are the points of play (less so than specific genres, or story-types). There are a few more questions raised by this and left to ponder for me. Why specific games will drift into a specific genre? Are there any Points of Play out there that I haven’t considered, or perhaps that we have not as an RPG design/writing community attempted and addressed? What is it about any given point here that appeals to us? Fascinating discussion topics for the future.